Even though it produces a slimy mucilage, we simply enjoy eating Okra, especially when stir fried with some red peppers. Growing this fruit vegetable is fabulous as we’re ensured that they are pesticide-free. These nutritious vegetable are so easy to grow and can be harvested pretty soon. Botanical Name: Abelmoschus esculentus (syn. 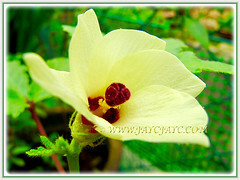 : Abelmoschus bammia/longifolius, Hibiscus esculentus/praecox. 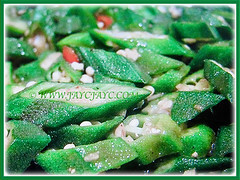 Common Name: Okra, Lady’s Fingers, Ladies’ Fingers, Ochro, Gumbo. Etymology: The specific epithet esculentus is from the Latin word esculentus meaning edible. Origin: Native to tropical Africa, Asia and northern Australia. 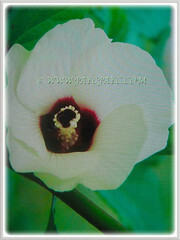 Cultivated worldwide in tropical, subtropical and warm temperate regions. 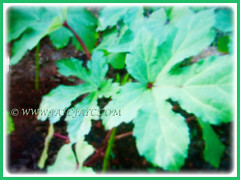 Plant type: A perennial and edible vegetable plant. Features: Abelmoschus esculentus is a one of the popular species belonging to the genus Abelmoschus that consists of about 15 species of flowering plants. It grows to around 2 m tall, producing leaves that are 10-20 cm long and broad, palmately lobed with 5-7 lobes. The hermaphrodite and hibiscus-like flowers are 4-8 cm in diameter with five white to yellow petals and a red or purple spot at the base of each petal. It was given one of the common names as Lady’s Fingers because of the long, narrow edible pods of the plant, resembling a lady’s fingers. They are pollinated by bees. Eventually, the flowers will be followed by a fibrous fruit or pod which is a capsule up to 18 cm long with pentagonal cross-section. It contains numerous round and white seeds. 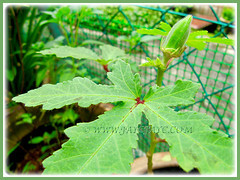 Culture (Care): Abelmoschus esculentus or Okra grows easily with least maintenance. Moisture: Moderate water needs. It prefers moist soil, benefitting from a humid environment. Soil: Best to grow in organic-enriched, sandy, loamy and well-drained soils. However, it tolerates a wide range of soil types. Others: By constant harvesting, it is possible to keep the plant productive for several months, even up to a year in warm climates. Snip the sprigs and leaves as required to encourage new foliage and to prolong the harvest season. Feed once fortnightly with a high potassium fertilizer, once the first flowers have formed. Take note that the hairs on the seed pods can be an irritant to some people and gloves should be worn when harvesting them. Generally free from serious garden pests and diseases. However, do watch out for verticillium wilt, aphids, mealybugs, powdery mildew, leaf spots and root-knot nematodes. 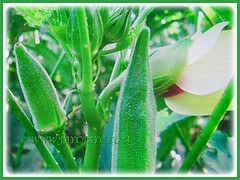 A warm-weather plant with a preferred temperature between 22°C and 35°C, Okra is susceptible to frost and temperatures below 12°C. In non-hardy region, grow Ladies’ Fingers as an annual in containers in the greenhouse. The plant requires a warm sunny position that is sheltered from winds. Pinch out growing tips to stimulate bushiness. Feed once fortnightly with a high potassium fertilizer, once the first flowers have formed. Plants produce pods until temperatures drop in autumn, often until the first frosts. Pods can be frozen for winter use. Usage: Abelmoschus esculentus or Lady’s Fingers is the most important commercially grown species for its use as fruit vegetable. Plant them as their ornamental flowers are extremely captivating and will brighten the garden when in full bloom. Ideal for container planting and raised planter outdoors and indoors. 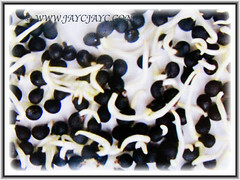 Grow them to harvest the pods to add to your dishes. They can be cooked, pickled, eaten raw and included in salads. Moreover, it is very nutritious and contain many essential nutrients. Its roasted seeds is a coffee substitute. Also, the seeds contain edible oil. 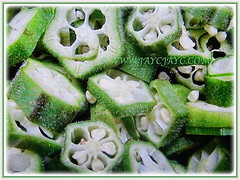 Because of its high content of mucilage, Okra is also used in traditional medicine in many countries as a dietary meal to treat gastric irritation, ulcer, phlegm, reduce inflammation, catarrh and urinary problems, etc. 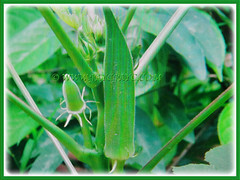 Read more about it at http://www.stuartxchange.com/Okra.html. 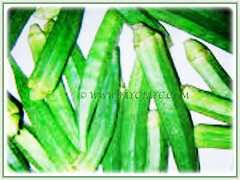 Okra may be used in developing countries to mitigate malnutrition.